Membership Minute: We Need You, Let's Go! Like the old commercial, “Looking for a few good men…,” Grange leaders all over the country are looking for a “few good Grangers.” More and more State Masters are beginning to look at starting teams or expanding the teams they already have. They are looking for Grangers that have some ideas and are willing to work with others to help struggling Granges, as well as helping to start Granges in communities that don’t yet have one. We need you; so jump on the Grange band wagon and let’s go! At just about every event I attend, Grangers come up to me and ask what can be done for our Grange? The situations and scenarios are different, but all the answers share one common thread; they all need some attention from us. There needs to be a Granger willing to listen and then take action towards a solution. In most states, there are those that have the time and talents needed to help a few Granges. These helpful Grangers are willing to try different approaches to the problem until they find what works for that community Grange and its members. They are willing to spend time with the Granges in need of assistance to ensure success. But, one person cannot take care of all the Granges needing help. There just isn’t enough time in a day, week, month or year for one person to do all that is needed. We, the Grange, need YOU! We all know of Granges that need some attention. They are not getting a quorum or just barely have enough members showing up to pay the bills. They lack creativity and have lost the energy to look for new programs and activities. Therefore, we ask the National Grange or State Grange Membership Director what can be done. Well, since Samantha is fresh out of magic wands and pixie dust in the Grange Store, we will just have to go over and pay a visit to that Grange to talk with them and assess the situation. If I am the one driving to that Grange I will be calling you to go along. Since you are closer to them, and you have a concern for their Grange health, it seems only fitting to ask you along. This will also give me a chance to visit with you and share some of the ideas I have on how to best help this Grange. I will be able to show you how I approach the different situations so that you can follow up with this Grange at their next meeting without me. But, having beenthere and worked with you, I will have some firsthand knowledge and will be able to visit via phone and internet to advise you along the way. I am now freed up to go help another Grange with someone else, just like I did with you. You will also be gaining some experience to share with another Grange, and you can take someone with you and start showing them how to help. There are Granges in every state that are struggling and need attention. That is why we need teams of helpful Grangers in each state to assist. There are also those communities that do not have a Grange and need one. Who is going to start those? We all want to start new Granges. There needs to be a team for this too. I have even been talking with one State Grange that is starting a “ritualistic” team. I got the feeling they had no problem finding folks to serve on that team, since they had more Grangers sign up for that team than the others. If you are not on a team now, and would like to be, contact your State Master. The more flexible you are, the more opportunities you will have to serve on a team. The more rigid you are with your time and talents, the less the State Master is going to be able to use you. Try to attend a training weekend or conference so you can meet your State leadership and directors. Get to know them and share your ideas and willingness to help. I know that as I travel around and get to visit Granges, I will send out the call to those I know in that state or area: “We need you. Let’s Go!” I am always looking for help and potential new team members and team leaders. You all have some good ideas and you all know of Granges and communities that could use some help. Many of you have asked for programs and information from me. This is great and I am glad to provide it. Also, ask your State Leaders for help. 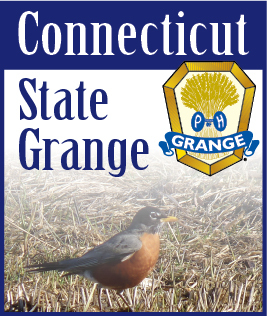 They have lots of useful information and programs, and can provide more knowledge of the Grange in your area and state. By asking, you also show your concern and willingness to help. Together we can come up with more ideas and raise our chances of success. I need you, your State Grange needs you, and the Granges and communities around you need your knowledge, energy, and willingness to help. Now Let’s Go!